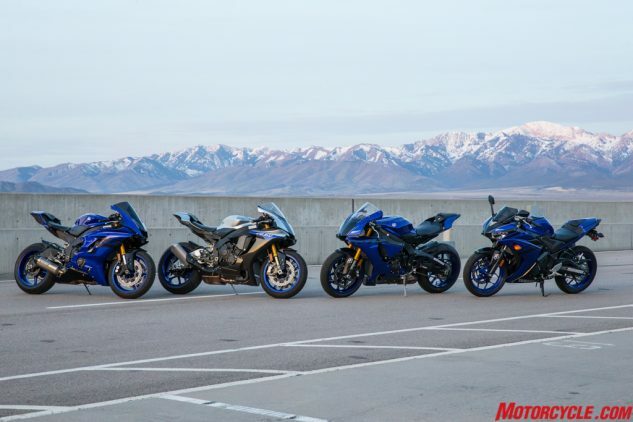 There seems to be much doom and gloom in the motorcycle industry surrounding the state of sportbikes these days. We keep hearing about dropping sales and shifting consumer interest, which will combine to turn the sportbike as we know it into a museum piece one day, gone the way of the Dodo bird. Weird – Yamaha never got the memo. 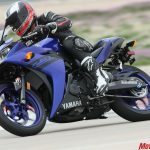 In fact, since the original R1’s introduction in 1998, Yamaha have sold more than 284,000 R-series motorcycles in the U.S. alone. 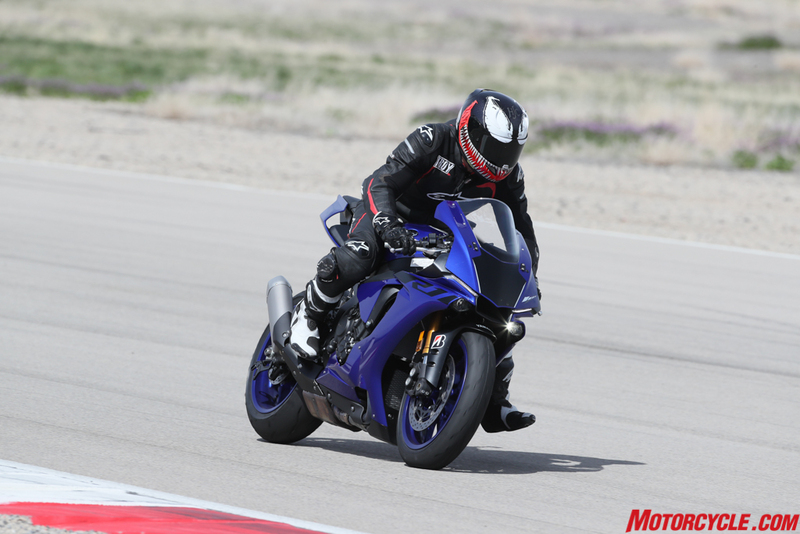 Team Blue is steadfast in its support of sportbikes and the unmatched thrill they provide, offering a ladder system for those wanting to join the fun. The R-World family. 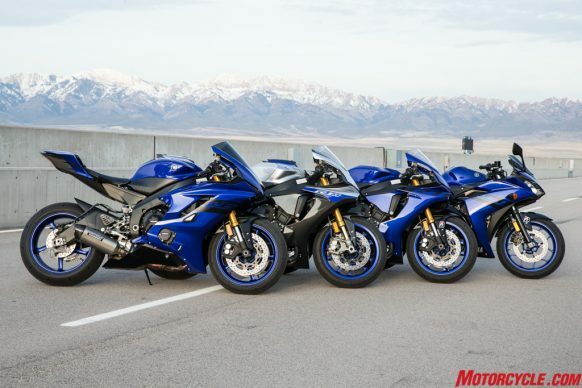 From left to right: R6, R1M, R1, R3. 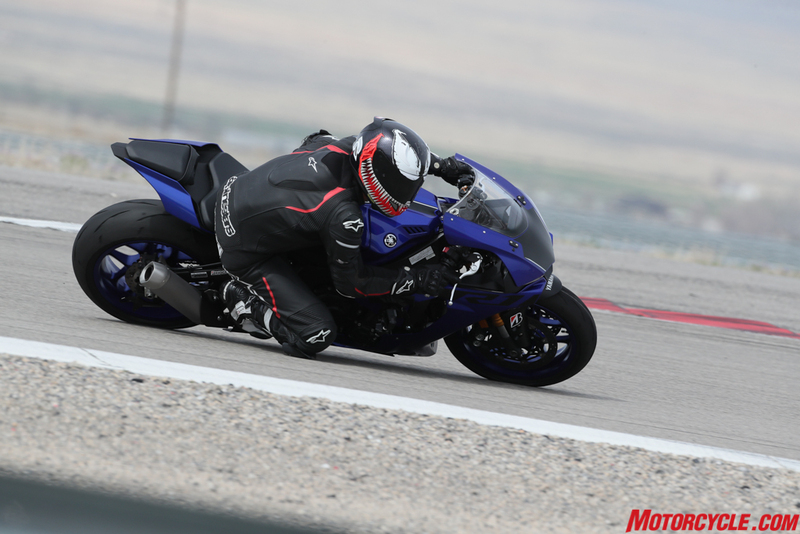 Yamaha’s even got a catchy name for its sportbike family: R-World. 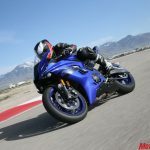 Put a Yamaha in your stable and not only have you joined the R-World, but Yamaha would like you to believe you’ve also become a member of Our World. It’s an inclusive concept (not to mention a clever play on words), which is good if you’re trying to bring more people into the sport. 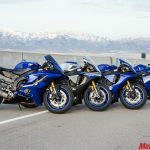 Each of these motorcycles are excellent players in their respective categories – as I’ve written about in my R3 review, R6 review, and R1 reviews. 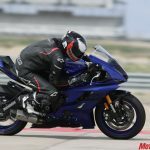 More than just introducing a ladder system of sportbikes, Yamaha also has programs for people to try a bike before making the plunge. 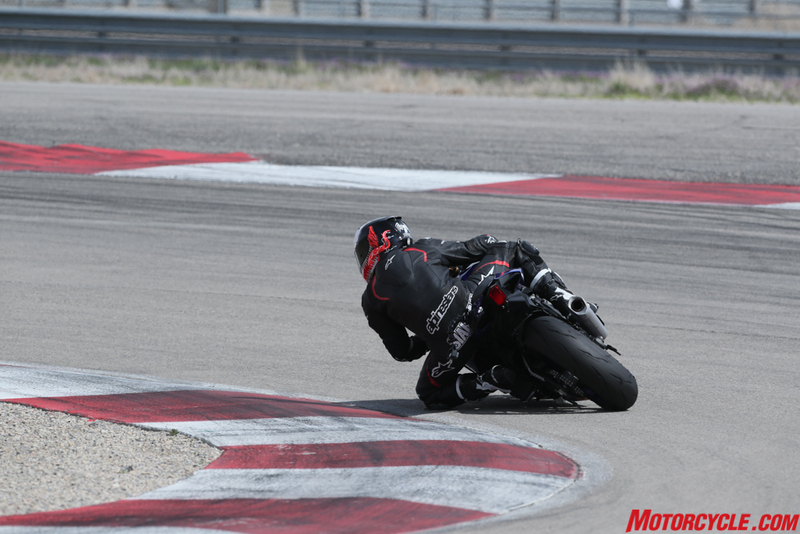 From demo days at consumer events to track days, the ladder then leads to club racing. And if you really take to this sportbike thing, then professional racing awaits. 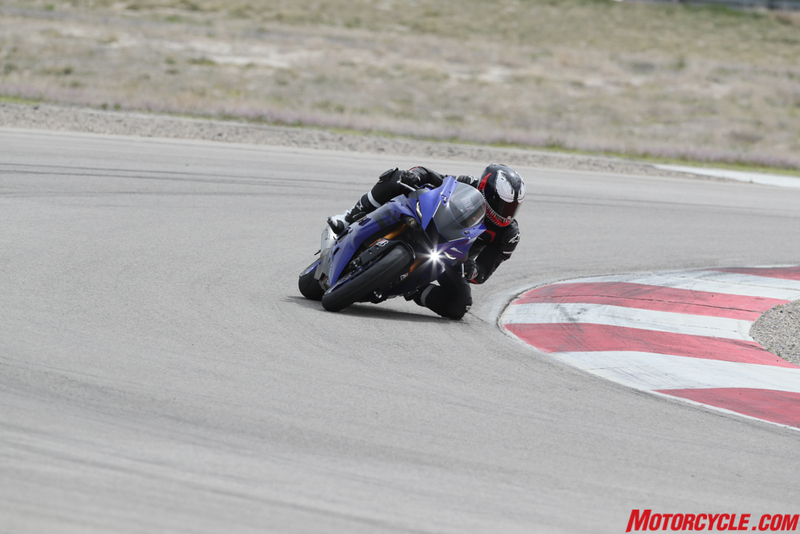 Below is a quick refresher course in the track attributes of each member of the R-World family, as ridden at the amazing Utah Motorsports Campus, aka Miller Motorsports Park. 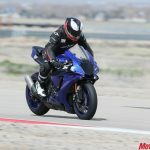 Keep in mind the stock tires for each bike were swapped with Bridgestone’s new Battlax R11 DOT racing tire. 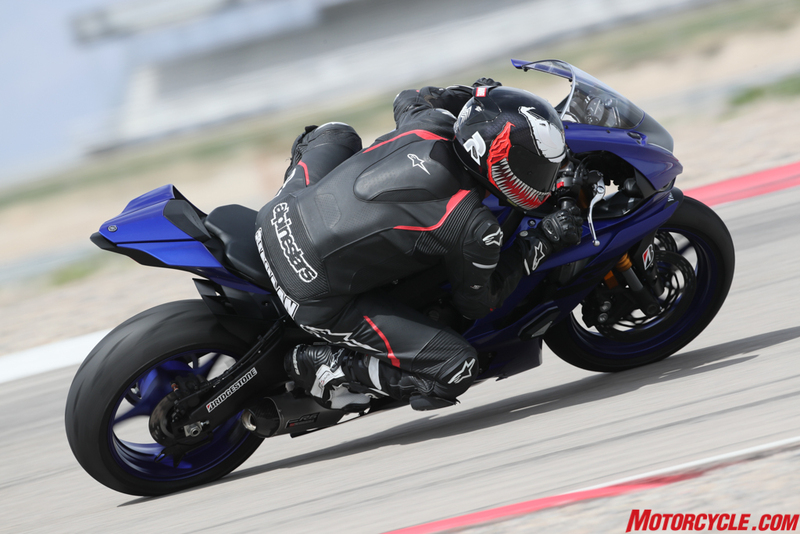 As far as entry-level sportbikes go, it’s hard to go wrong with the Yamaha R3 (Kawasaki Ninja 400 notwithstanding). It’s affordable, looks great, and is a great learning tool to develop the skills needed to move up the displacement ranks. We’ve written extensively about the R3 both in the First Ride Review and our Beginner-ish Sportbike Shootout, but to recap, its 321cc Parallel Twin features dual overhead cams with four valves per cylinder and forged pistons – both features were unheard of in lightweight bikes not long ago. It delivers a tick over 35 hp and 19 lb-ft of torque the last time we had one on the dyno – enough to motor through city traffic and handle the rigors of street riding. Despite its modest suspension, void of any adjustability other than rear preload settings, the R3 is a riot around a racetrack. 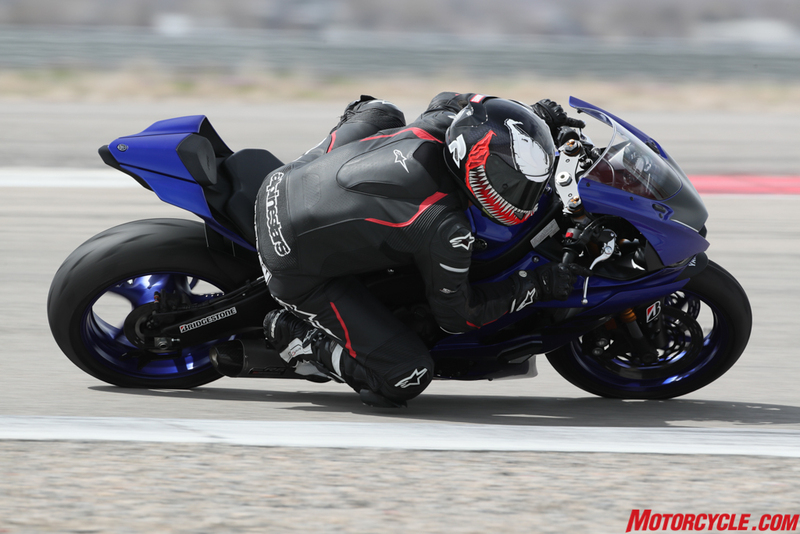 With sticky tires like the Bridgestone R11s mounted, grip is no longer a concern. 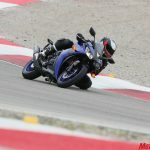 Instead, you can focus on carrying as much speed as you dare through the corners, maximizing your braking and shift points to get the most out of the bike as possible. Ultimately, you’re limited by ground clearance, as the pegs and sidestand are the first to touch down. An excellent learning tool, the R3 teaches the importance of maintaining momentum. 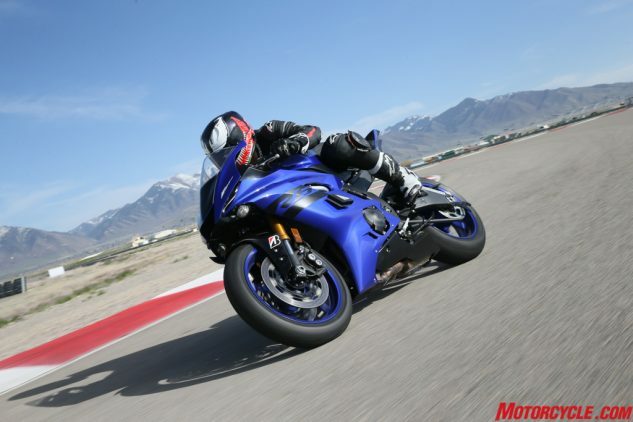 Whatever entry-level bike you move up from, there’s no question the middleweight bike of choice is the YZF-R6. Its racing resume speaks for itself, with numerous race wins and championships all over the world, there’s a reason why the R6 is so popular – because it’s incredibly easy to ride fast. 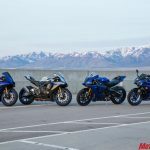 Some might complain about the 599cc Four banger from the previous generation R6 coming back mostly unchanged for the 2017 redesign, but if it ain’t broke, why fix it? 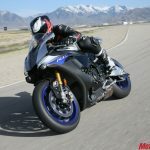 With its updated appearance – which is claimed to make the R6 the most aerodynamic production Yamaha – to its addition of an electronics suite, including multi-stage traction control, the R6 is a special middleweight supersport. 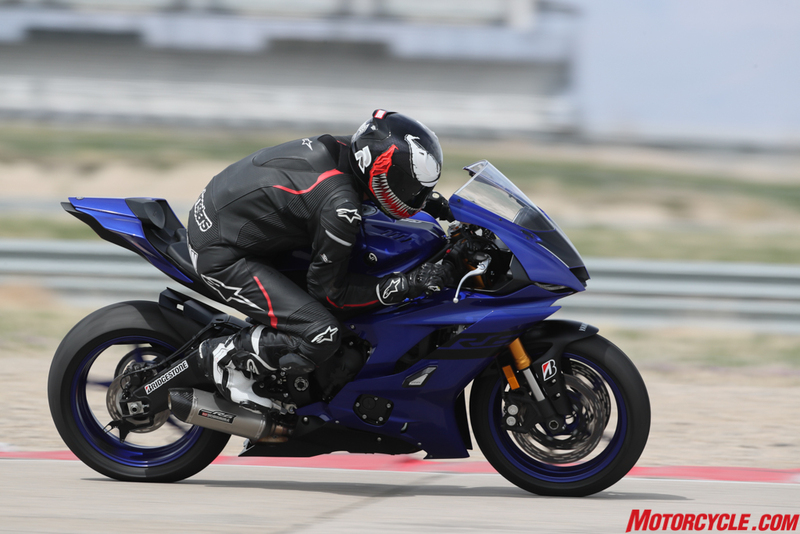 From the rider’s perspective, a few key things jump out about the R6. 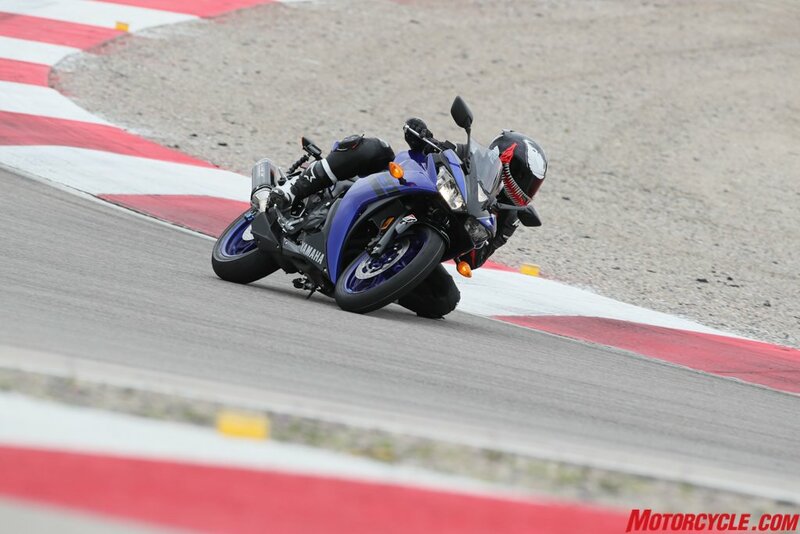 Firstly, the seating position makes the bike’s purpose clear: we’re here to rip up racetracks. Once out on track, it takes the mind a second to adjust to the nearly 16,000 rpm redline; it’s just crazy to rev a bike that high. Opt for the accessory GYTR quickshifter (which you should) and clicking clutchless upshifts while the bike is howling, watching the earth sail right past you, adds to the experience. 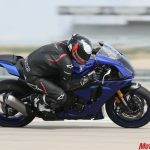 In search of a middleweight supersport? Search no longer, the R6 is a missile. Jam on the radial-mount four-piston stoppers, and the R6 sheds speed with confidence. The KYB 43mm fork and single shock, both fully adjustable, keep the bike composed. Pull the clutch in, jab a handful of downshifts, let your left fingers loose, and watch as the slipper clutch does its best to keep the rear wheel in line. You can even kick the rear out and let your leg dangle like Rossi if you’re feeling up to it. Once tipped into the corner, the updated front end with larger front axle, feels supremely planted, communicating with authority that you’re nowhere near the bike’s limits. Stand it off the side, fire it out of the corner, and start the dance all over again at the next turn. The R6 is a hell of a machine, and I wasn’t the only journo in attendance singing its praises. It’s damn good. 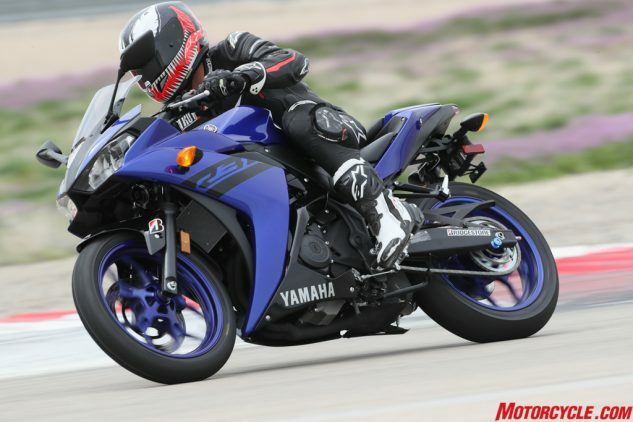 Mastering the R6 is a good idea if you’re thinking about jumping to the R1. The crossplane crank, 998cc Four is a lot of motorcycle. 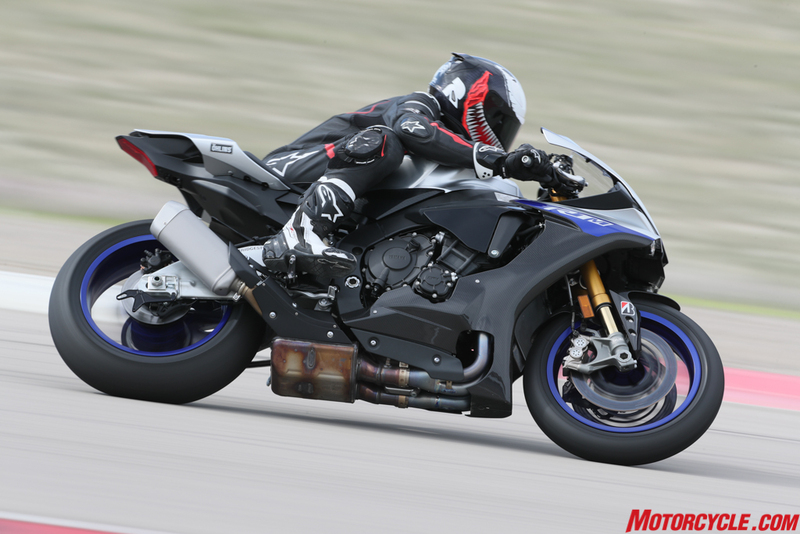 When we put one on the dyno, for our 2017 Superbike Shootout, its 163 hp and 72.5 lb-ft of torque were no match for the European bikes, but still, 163 horses is nothing to sneeze at. If you stop to consider the titanium connecting rods and exhaust, the magnesium subframe and wheels, and aluminum gas tank are all included in the $16,699 price tag, you realize you get a lot of motorcycle for the cash. And we haven’t even begun with the sophisticated electronics package, which includes a true six-axis IMU, lean-sensitive traction and slide control, lift and launch control, lean-sensitive ABS, quickshifter, and power modes. For 2018, the quickshift system has been updated to include a downshift function. Updates to the lift control system mean smoother, more seamless wheelies, while there’s an update for launch control, too, reducing rpm limit to 8,000 (from 10,000). Lastly, the standard issue Bridgestone Battlax RS10 (not to be confused with the Battlax R11 used for this ride) rear tire is updated with a new compound. 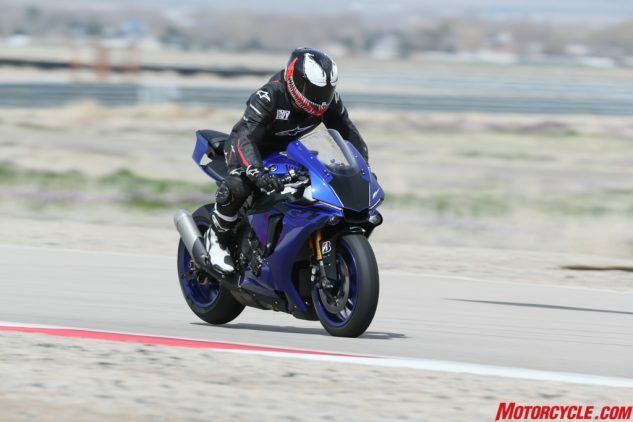 The YZF-R1 is all business. 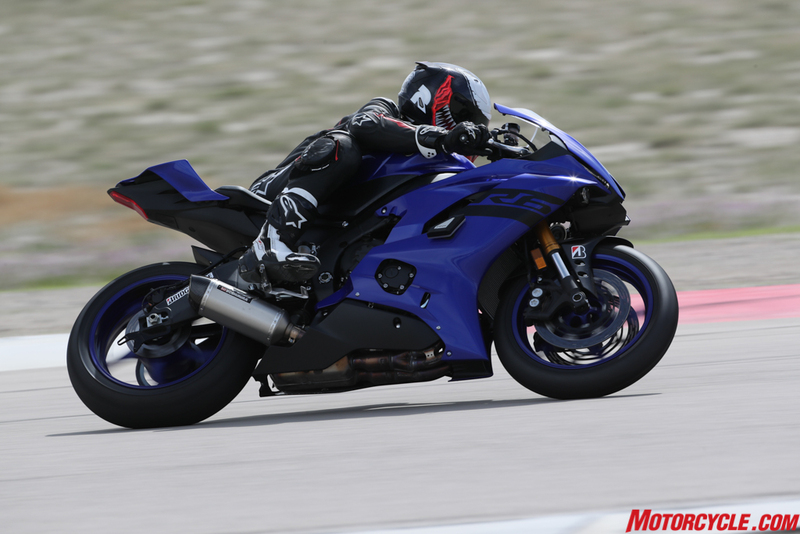 Twist the throttle, carve apexes, or skim the rear slightly above ground, that’s when the R1 feels alive. 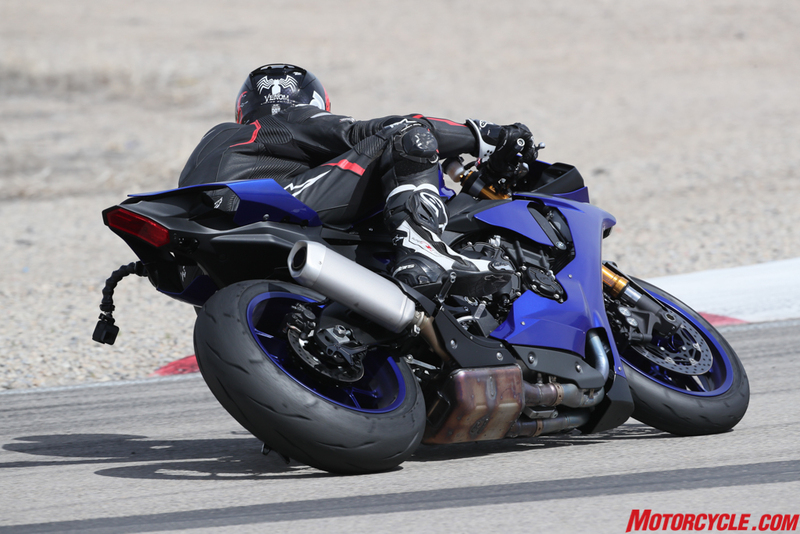 For me anyway, the R1’s exhaust note makes it my favorite Japanese literbike today. Sure, the stuff above is appreciated, but hearing the R1 sing is music to my ears; and since I’ll never be able to exploit the bike’s full potential, the spec sheet wars mean nothing to me. 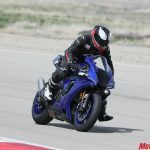 That said, the R1 is still nothing short of a weapon. If the R6 placed the rider in attack mode, then the R1 is ready for all-out war. It’s aggressive and makes no apologies otherwise. 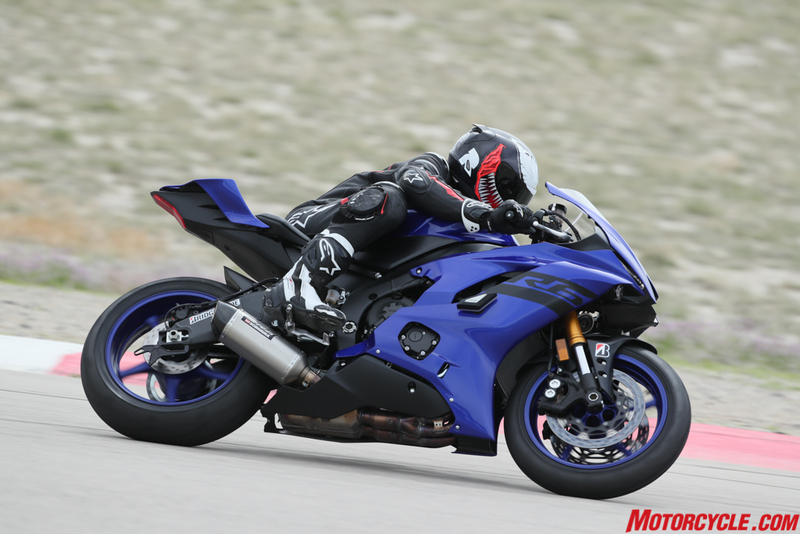 On track, the R1 gives all the same sensations as the R6, only amplified because of the extra power. The crossplane crank engine communicates through the right hand wonderfully, which is great because the extra speed means things are coming at you a lot faster. Slight suspension tweaks to the fully adjustable KYB units actually make a difference, and braking power from the four-pot calipers and 320mm discs is strong, though a little wooden-feeling. 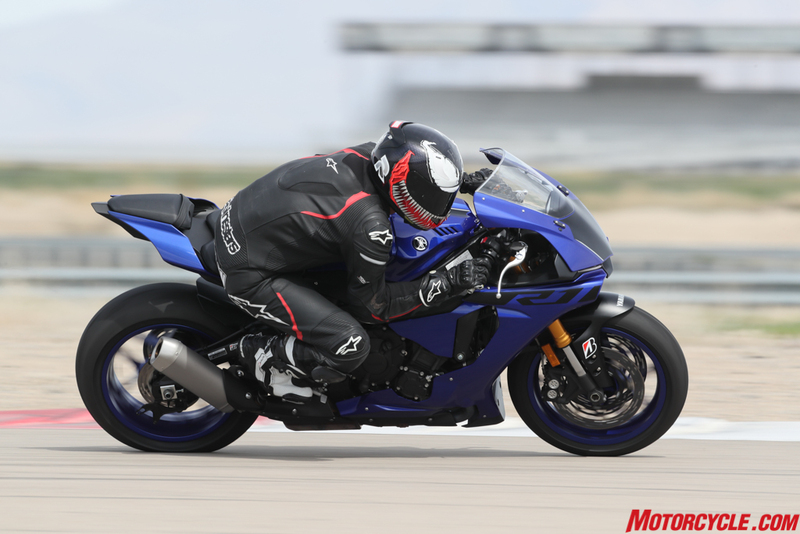 Jump to the R1M and the differences are noticed both on track and off – more so how much easier things become. Suspension changes happen at the push of a button, and the bike is reacting in real time while you’re riding. 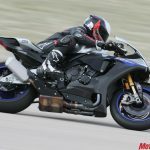 For 2018, the R1M gets the same updates as the standard R1, but the Öhlins EC2 system gets updated software to help process the data coming from the 12 sensors (up from nine previously). Lastly, the tuning interface has been changed to focus on the rider’s objectives rather than the suspension’s adjustments. 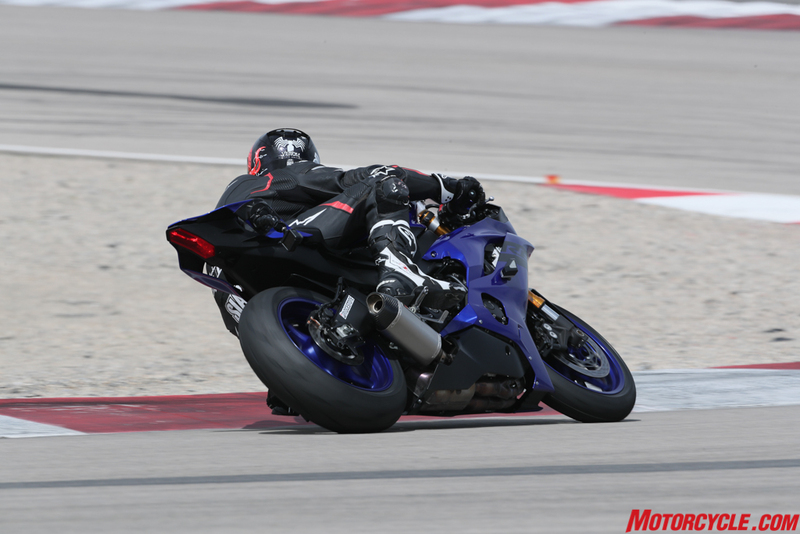 Instead of searching the menus for compression or rebound damping, the modes are now labeled “Brake support,” “Corner support,” “Acceleration support,” “Front firmness,” and “Rear firmness,” to better communicate with the needs of the rider. 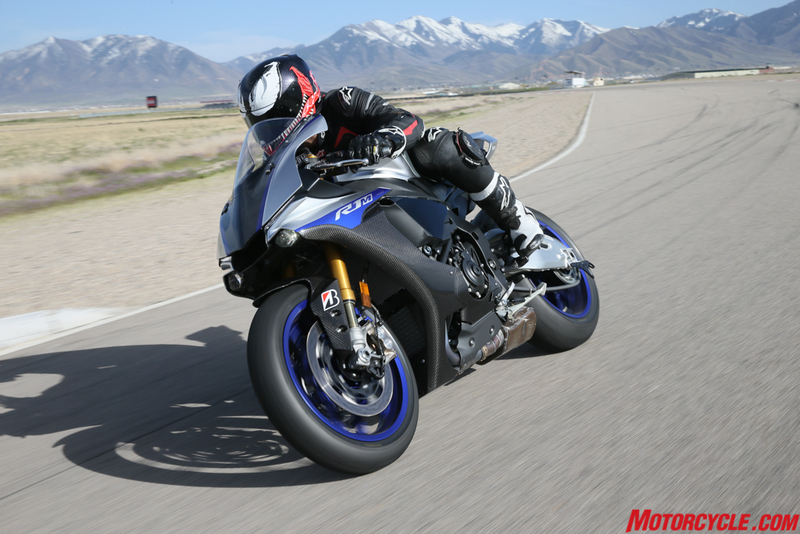 Riding the R1M feels like riding a computer on wheels… A very fast computer, with a sound like no other. 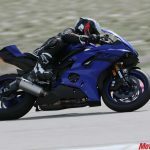 Personally, I liked the old labels better, but suspension is a dark art for many, and simply asking the bike to offer more or less support should appeal to more people. 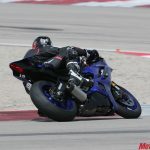 Regardless of the nomenclature, riding the R1M on track is an interesting experience, as the changes made via button presses are felt out on track. 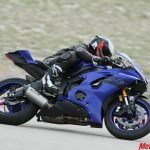 Combine this with the rest of the electronics package, and the R1/R1M rewards the skilled rider with a fun track experience – and should you make a mistake, the safety nets are getting so sophisticated it’s hard to tell. 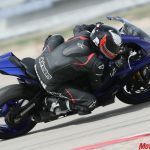 In the end, time will tell if sportbikes are a dying breed or not, but Yamaha is doing its part to keep the flame alive. Without a doubt, there’s no denying we are living in the golden age of the category, though. Never has going fast been so easy and so rewarding. 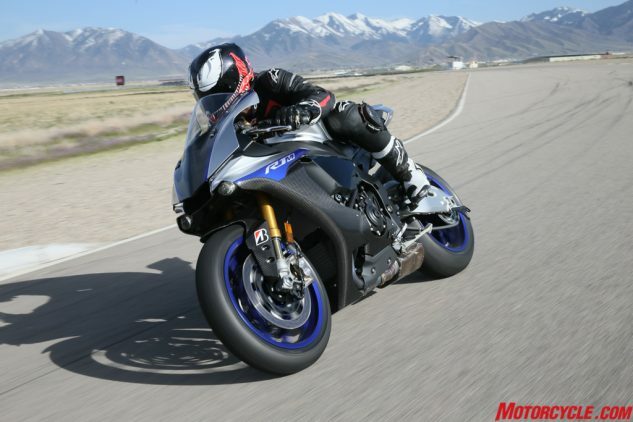 Get price quotes for Yamaha R1 from local motorcycle dealers.